Every family might make it a little differently, perhaps using pasta, as well as cabbage, white beans, chickpeas, or various winter vegetables such as turnips. In the Middle Ages, the family escudella was not nearly as delicious sounding as this recipe and was likely to have been eaten from one bowl as they were too poor to have individual bowls. Like the cocido of Andalusia or the ouillade in Roussillon in the French part of Catalonia, escudella is meant to be a hearty one-pot meal. 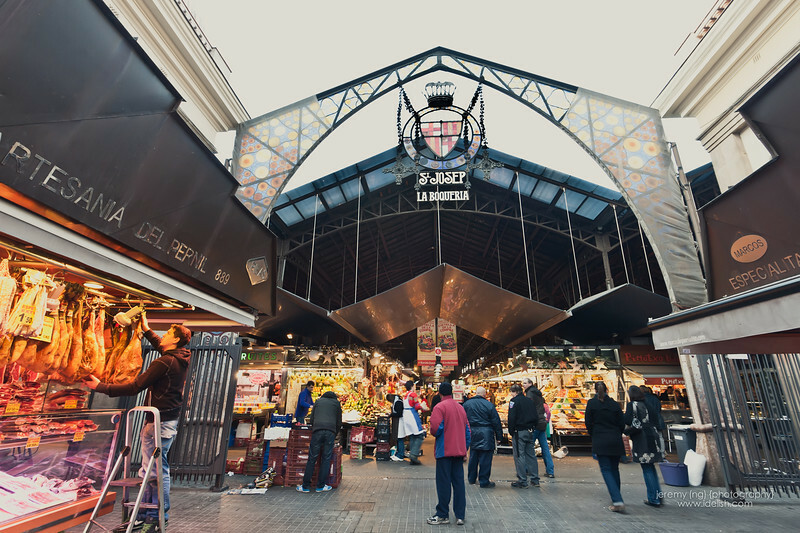 Its preparation in Catalonia is notable enough for Colman Andrews, a thoughtful student of Catalan cuisine, to have called it the ur-Catalan specialty. Joseph Pla, the great Catalan gastronome, said that a good escudella, the way it once was made, is today worth a fortune. 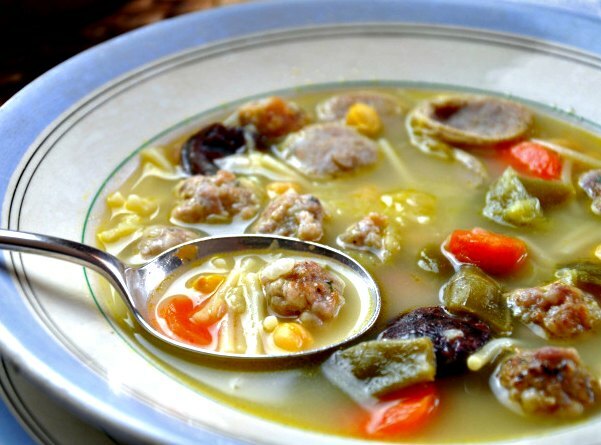 This recipe is "the way it once was made," adapted from one described to me by Montse Contreras as made by her mother, who uses rodanxa (a slice of lamb ankle) for flavoring the soup and white botiffara sausage for the meatball. Commercially made chicken sausage is close in taste to botiffara sausage, which is made with pork or veal. I also use the shank, which is farther up the leg than the ankle and has more meat on it. Taste a small bit of your prosciutto to make sure it is not too salty. If it is, remember this when you salt later. Once you eat this escudella, you will see why it is a favorite cold-weather dish: it has wonderful, memorable flavors that are warming for soul and stomach. By the way, all those feet and bones in the stew are essential for the real and full taste and although supermarkets are increasingly aware of the needs of authentic cooks and may have them, you probably will need to make a special trip to a butcher. Place the chicken feet or neck, chicken gizzard, lamb foot and ankle, lamb shank, ham bone or piece of ham, beef or pork marrow (soup) bones in a large stew pot. Cover with the water and bring to a boil. Boil for 2 hours, turning the meat occasionally. Replenish the water if necessary. Meanwhile, make the large meatball. Soak the slice of bread in water. Squeeze the water out and place in a medium-size mixing bowl with the beaten egg. Add the ground pork, butifarra, garlic, and parsley and season with salt and pepper. If the meatball doesn't hold together well add some of the bread crumbs. Form the meat into a single large ball and set aside in the refrigerator. After the meat bones have been boiling for 2 hours, turn the heat off and remove the bones. Remove the marrow from the soup bones and the meat from the lamb shank, cut it up, and discard all the bones. Transfer the marrow and meat to a stew pot or large casserole. Strain the broth and add it to the stew pot. Bring to a boil and add the pasta (or rice)potato, carrot, and Swiss chard. Season to taste with salt and boil for 10 minutes. Dredge the meatball evenly in flour, tapping off any excess, add it to the broth and boil until firm, about 20 to 25 minutes, replenishing the water if necessary. Serve immediately. The meatball can be divided by each diner.